Loretta Walker has been speaking to teenage girls and ladies since 1990. She is the wife of Evangelist Kevin Walker and the mother of three adult children. She has authored three books: Invisible Hurts, Possessing Peace and God is Crazy about Me. She is best known for her ministry to people with troubled pasts. She has worked with the organization of Christian Womanhood since 1978. Loretta was a traveling companion with the founder, Marlene Evans for eleven years. When Loretta and her husband found out that the original magazine was going to close down they prayed and decided that they would like to keep it alive. 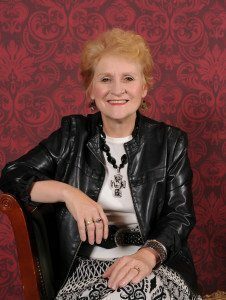 CW Today, Loretta’s radio program dedicated to readjusting your attitude in life, airs Monday-Friday at 12:00 p.m. CST.